With nearly 140 full-time faculty members across six different schools, the research environment in the Faculty of Health Sciences is dynamic and collaborative. Our members are among the world's best in their respective fields and they play a key role in contributing to the knowledge base that helps improve human health around the globe. Four signature areas of strength drive the strategic research mission of the Faculty of Health Sciences. Research chairs in the Faculty of Health Sciences are pushing the boundaries of discovery. The Faculty of Health Sciences is home to four Research Centres that foster a culture of discovery and innovation. 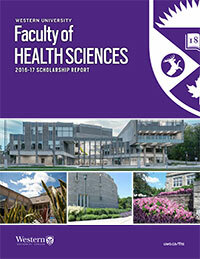 Resources and supports for faculty members in the Faculty of Health Sciences.